Are you willing to switch from shared server to a dedicated server but a few myths are putting you in a dilemma? Most new or old business organizations claim that a fully managed dedicated server is definitely a choice that you won’t regret. However, there are myths that can demotivate you from taking a decision. 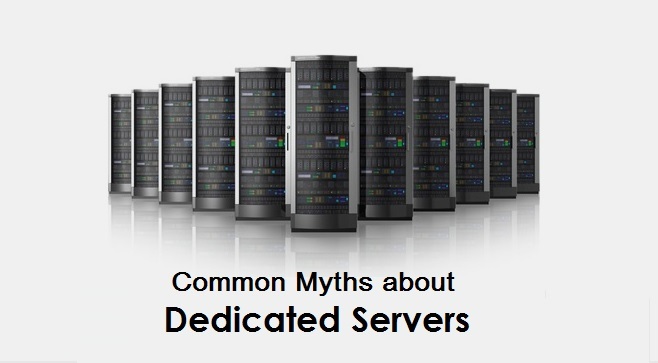 This blog takes the initiative of debunking the myths associated with dedicated servers. It doesn’t really matter whether you are an IT graduate or an amateur tech geek when it comes to choosing dedicated server hosting in India. Even an elementary knowledge of how servers work can help you make an informed decision. You don’t have access to cheap dedicated server hosting is another myth. With the increasing popularity and demand of in-house or dedicated servers among small, medium, and large-scale companies, the cost of buying one is getting one is affordable. A dedicated server means a server present physically at your business location. The equipment is heavy and huge to lift. Server customers assume that after the server is set up, the maintenance is their responsibility. It is not. You are paying to get the maintenance taken care of. Like the way people buy any electronic appliance, they check the specs as well as the price before finalizing a fully managed dedicated server too. However, they neglect the importance of data center. It is the quality of a data center that enhances the performance and reliability of a server. People believe that VPS and dedicated servers are the same. They are not. VPS is a more secure version of shared servers while dedicated server means one server for your company. If you have been considering the myth all this while, time to get it right. Get a Fully Managed Dedicated Server, Now! Every business is different and with this difference, there is a difference in needs. If you don’t like shared services but a dedicated one that allows customization as per your business requirements, i2k2 provides the best dedicated server hosting in India. We have a list of happy clients. We are proud recipients of compliance certification in the field of server hosting. For more information on our services, contact us on +91-120-466-3031 or email at sales@i2k2.com. Fill this form so that we can get in touch.